Shingles (or herpes) under the armpit is the disease caused by a chicken pox virus which belongs to the family of herpesviruses. This virus initially causes varicella and then it turns into latent state and remains in the nerve cells of the body. This might not cause any problems for many years. When person gets older, the virus can manifest itself in form of a rash – like shingles. The most common areas of affection for herpes are the armpits, the shoulder, the sides and the shoulder blade. The rash is accompanied by itching, burning and pain. It disappears after 15-20 days. Severe pain, tingling, numbness, and itching on certain areas of ​​the skin. Rash appears between 1 and 5 days after the beginning of pain. 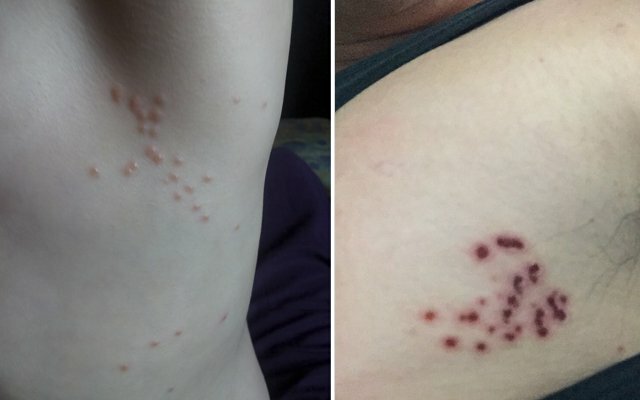 Red spots that turn into itchy, fluid-filled blisters. The rash looks like chickenpox. Sometimes the blisters converge and form strong red strip that looks like a severe burn. In rare cases (in patients with weakened immune system), the rash may be more extensive and similar to the rash of a chicken pox. New blisters may appear within a week. People with shingles under the armpit can feel cramping and pain when touching the affected area. Blisters gradually dry out and form scabs or crusts within 7-10 days. By that moment, the rash is no longer considered contagious. Minor scars might be left on the site of blisters. An episode of shingles under armpits usually lasts 2-4 weeks. In some cases, rash might develop without painful sensation, or vice versa, there might be no visible signs of rashes with burning and pain felt on the site of affection. Correct diagnosis requires differential diagnosis which will distinguish shingles from other similar on symptomatic diseases. Patient needs to run laboratory tests to detect antibodies to herpesvirus. This involves the use the polymerase chain reaction (PCR) technique or enzyme-linked immunosorbent assay (ELISA). The treatment is aimed to reduce the impact of the virus and to reduce painful sensations. There are several drugs that can be used and doctor individually prescribes antiviral therapy. In the vast majority of cases, shingles is treated at home. In some cases, people with a weakened immune system or with severe symptoms and complications are hospitalized. Antiviral drugs (drugs used to fight viral infections) are used against chicken pox. Painkillers are prescribed to relieve the discomfort caused by rash. Antihistamines help relieve localized itching. During the acute phase of shingles under the armpit, patient needs to temporarily keep away from water procedures. Bathing is also not recommended with a progressive rash. After the formation of new blisters stops, it is allowed to take a shower for no more than five minutes. 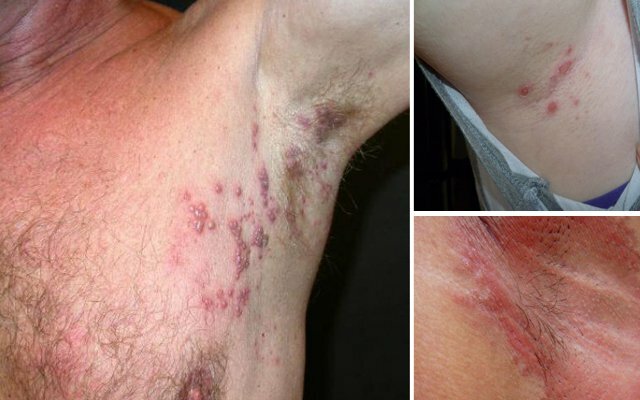 Correct and timely treatment will prevent serious and painful complications of shingles under the armpit. Do not self-medicate. It is necessary to adhere strictly to the recommendations of a doctor.